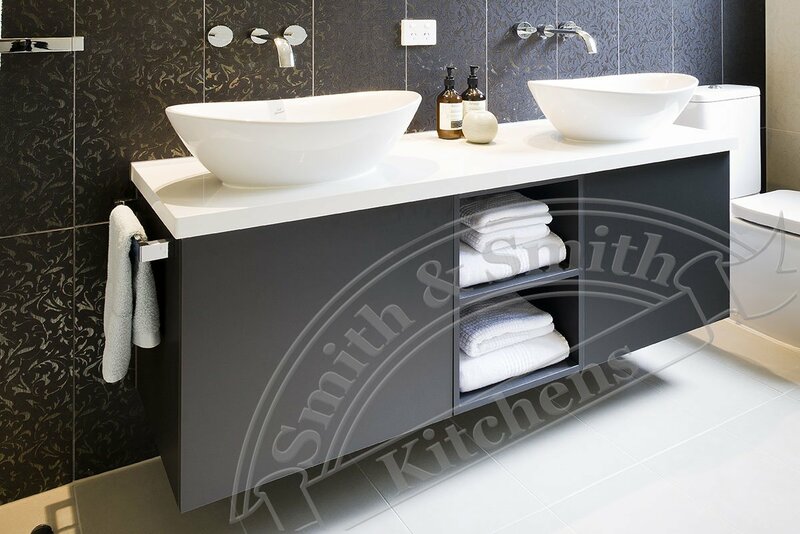 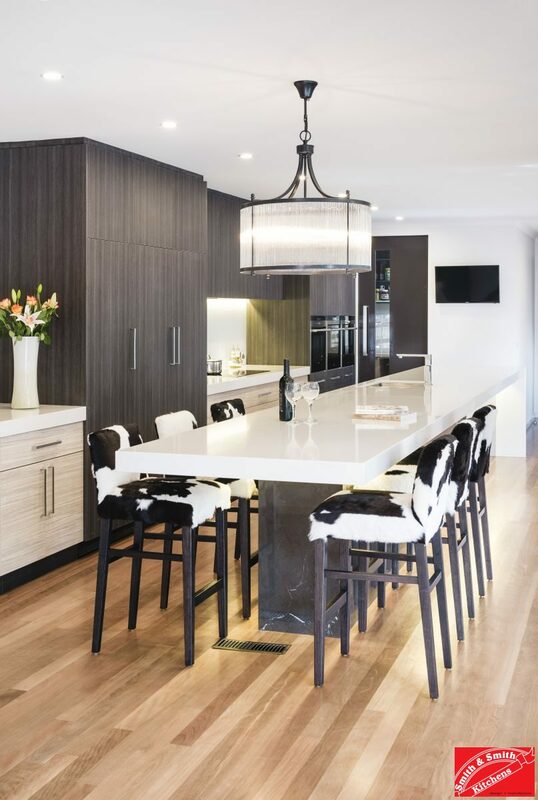 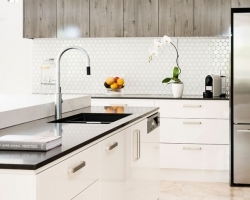 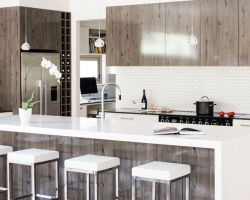 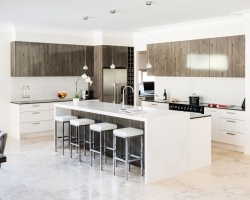 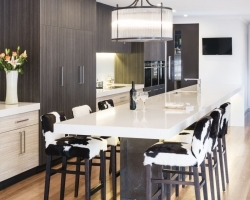 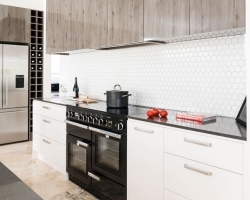 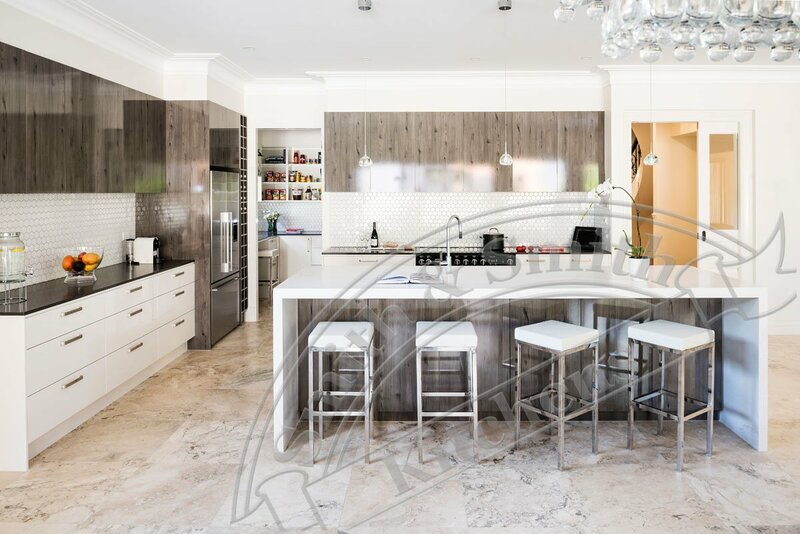 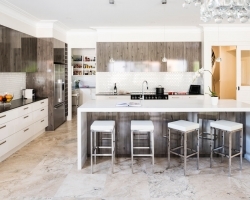 Sleek modern elegance is displayed in this North Balwyn kitchen. 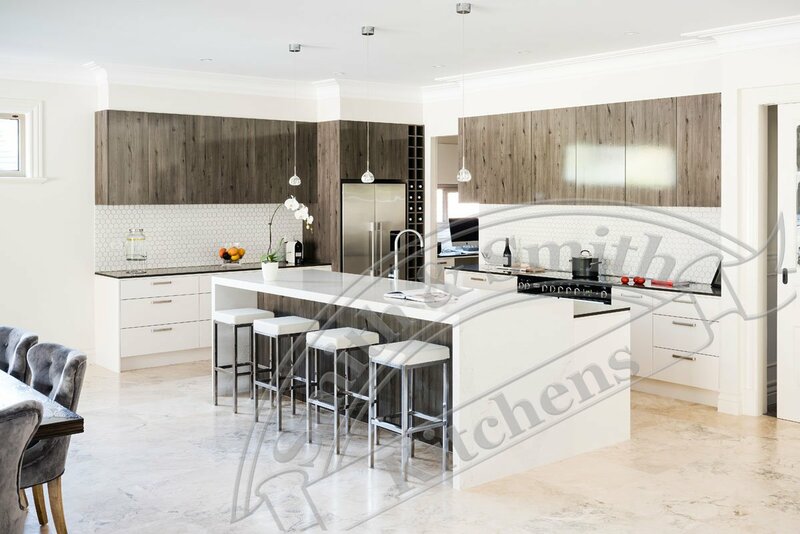 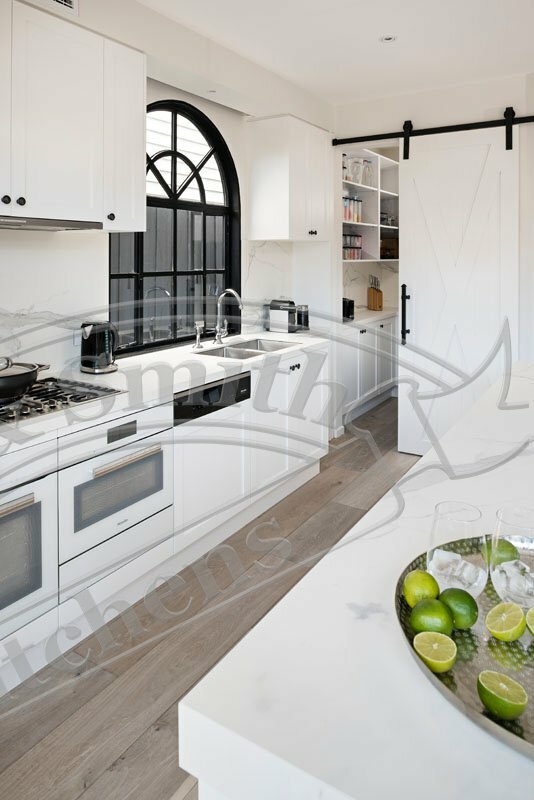 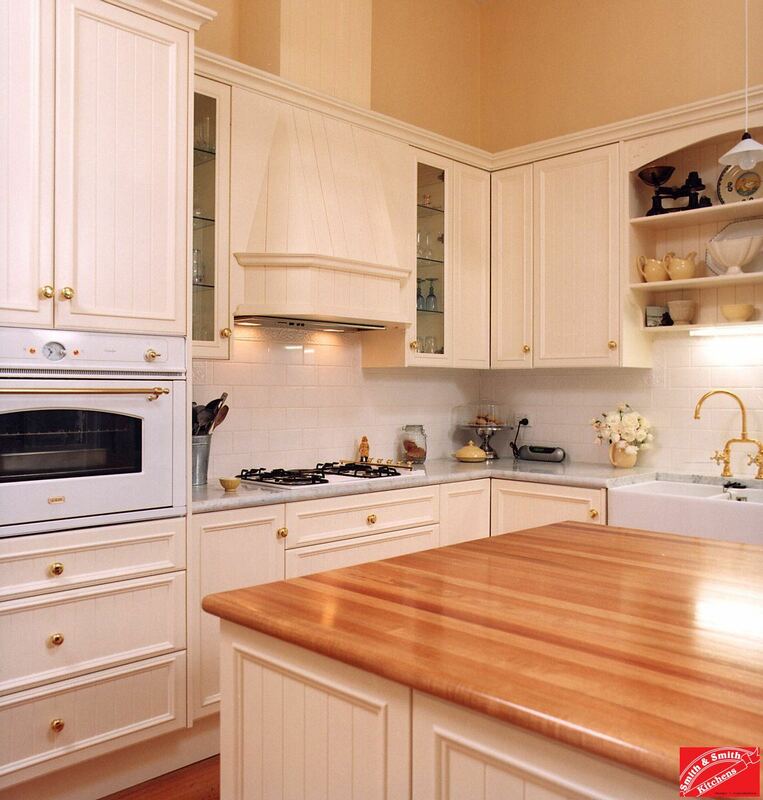 This kitchen features a combination of two pack polyurethane doors on lower cabinets and high gloss timber effect doors on upper cabinets. 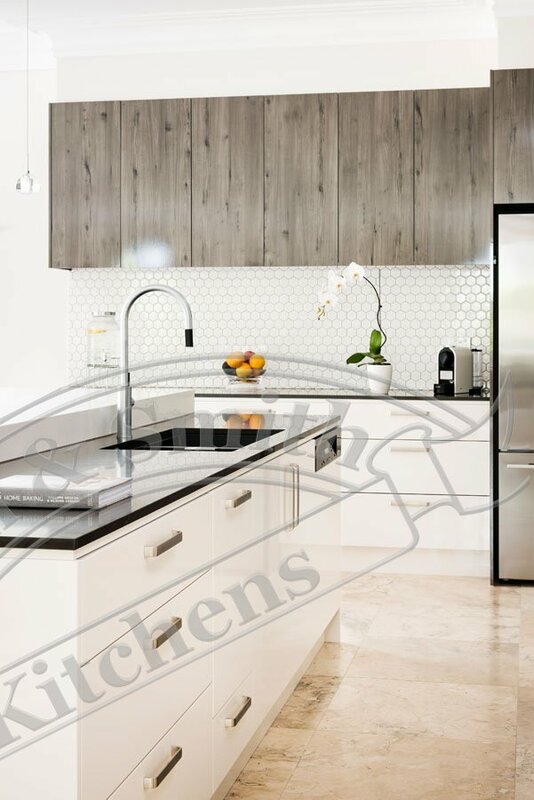 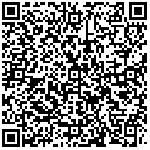 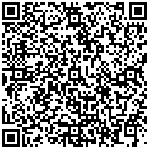 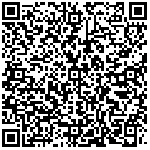 The effect is crisp, sleek and modern. 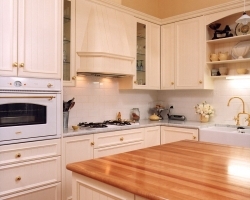 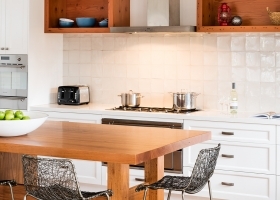 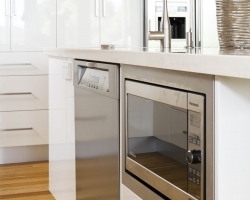 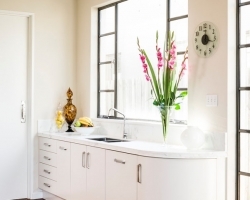 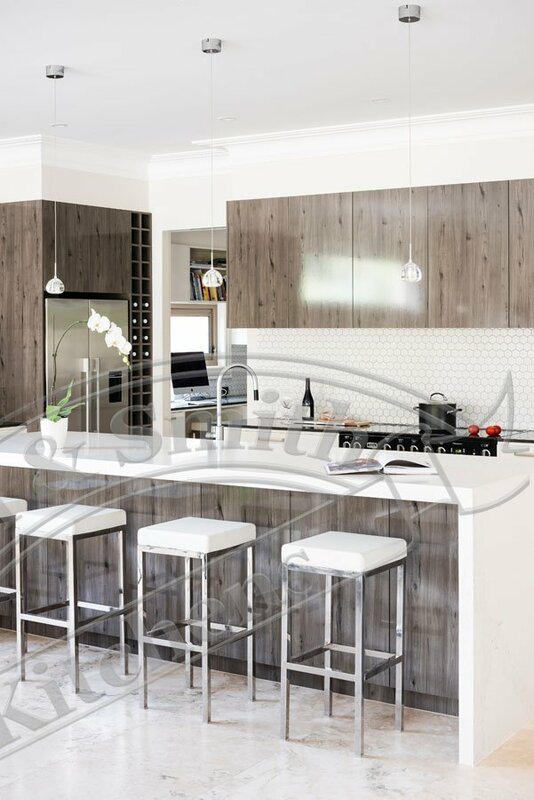 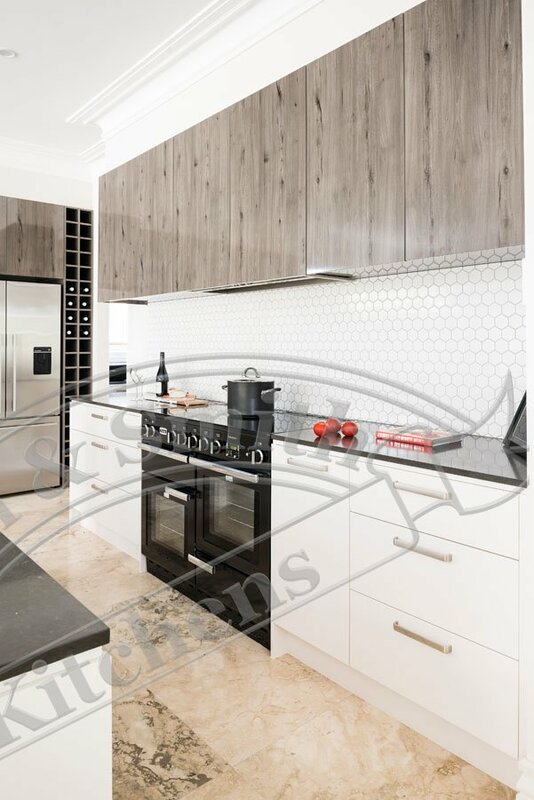 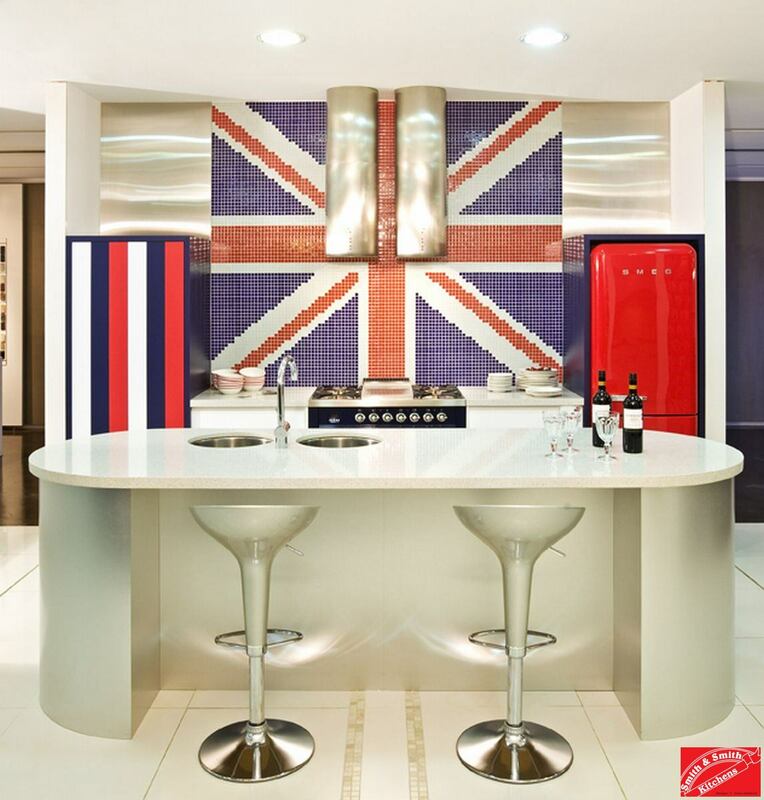 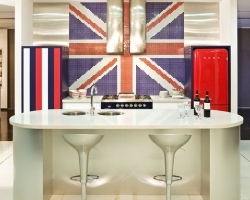 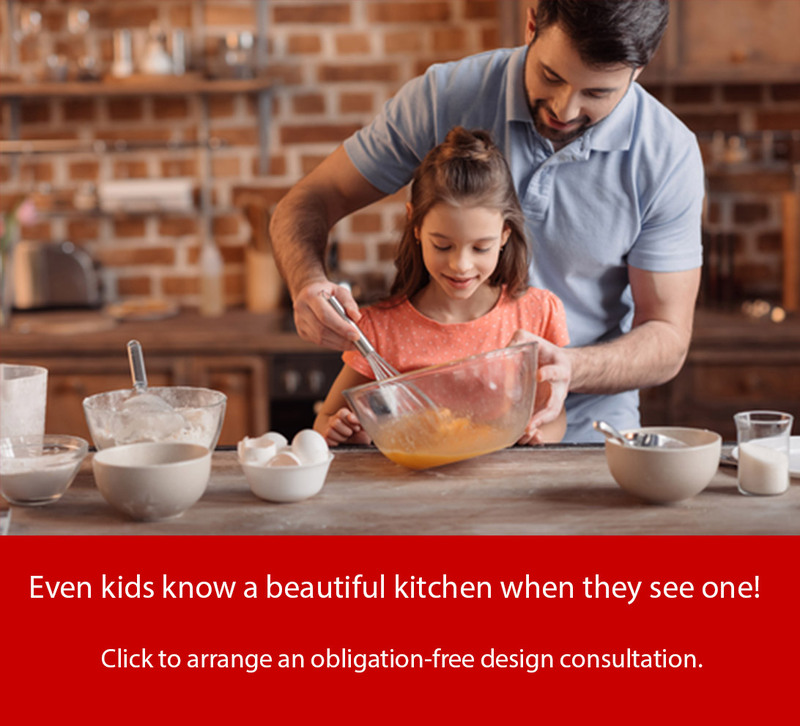 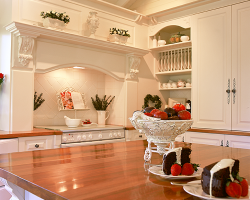 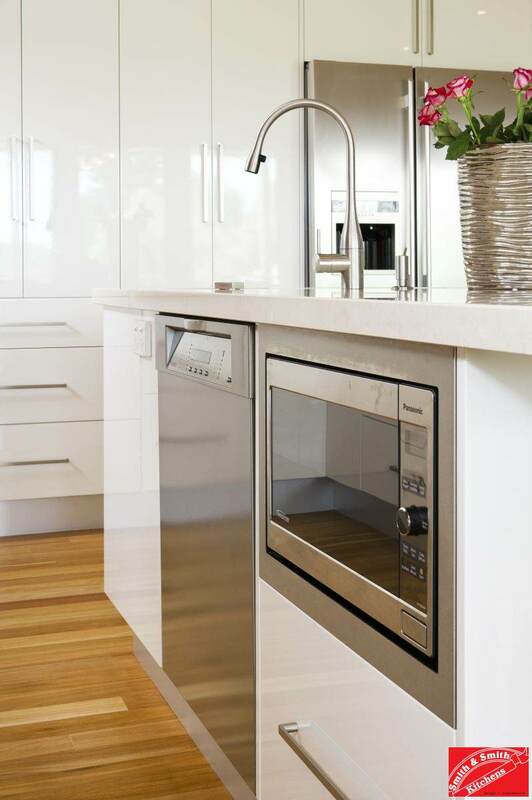 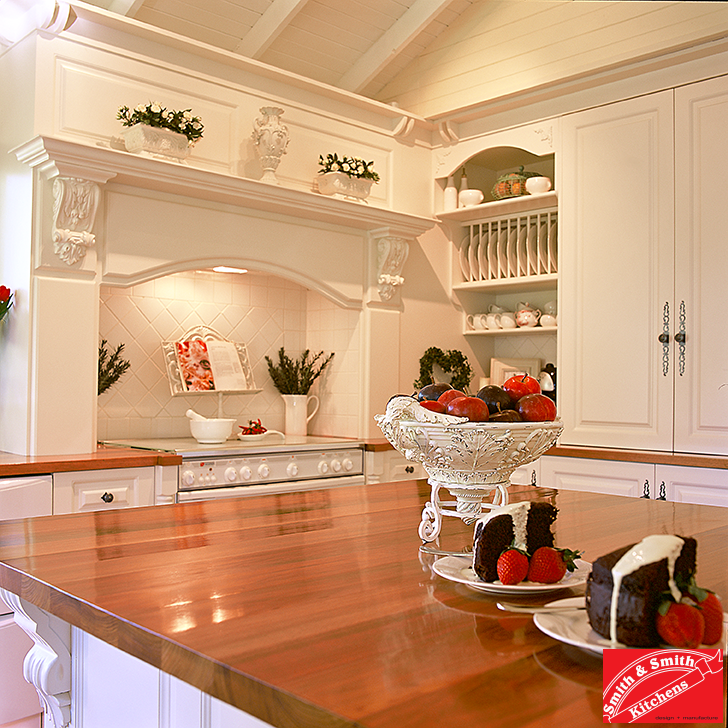 The long island benchtop has a raised bar counter to separate cooking and eating areas. 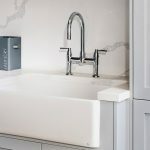 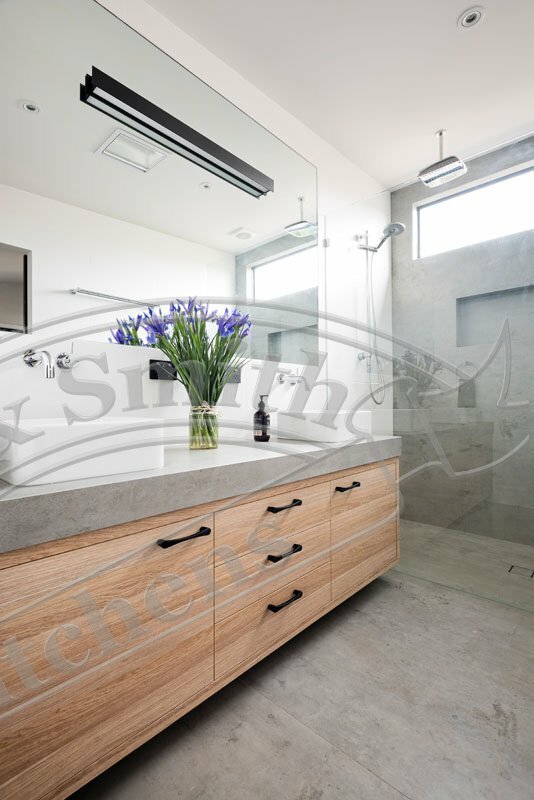 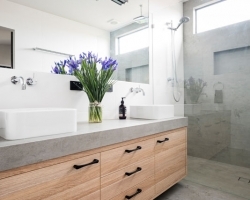 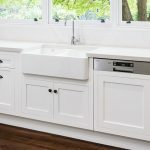 It also provides a place to hide the items that always seem to congregate at the sink area leaving the lines of the kitchen unimpeded. 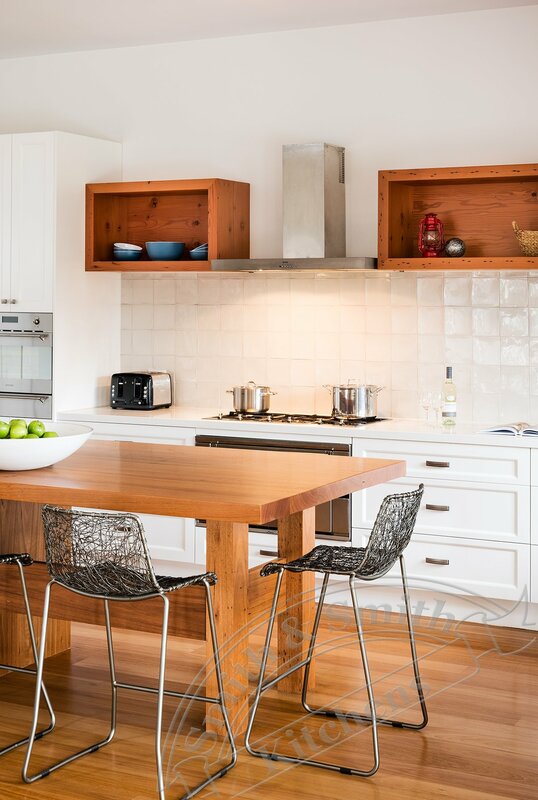 The corner of the L shaped kitchen flows naturally into a butler’s pantry with a desk area. 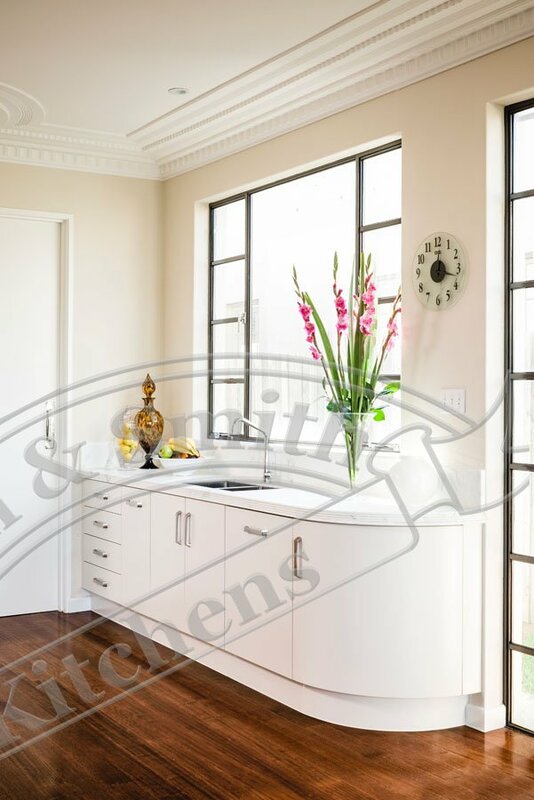 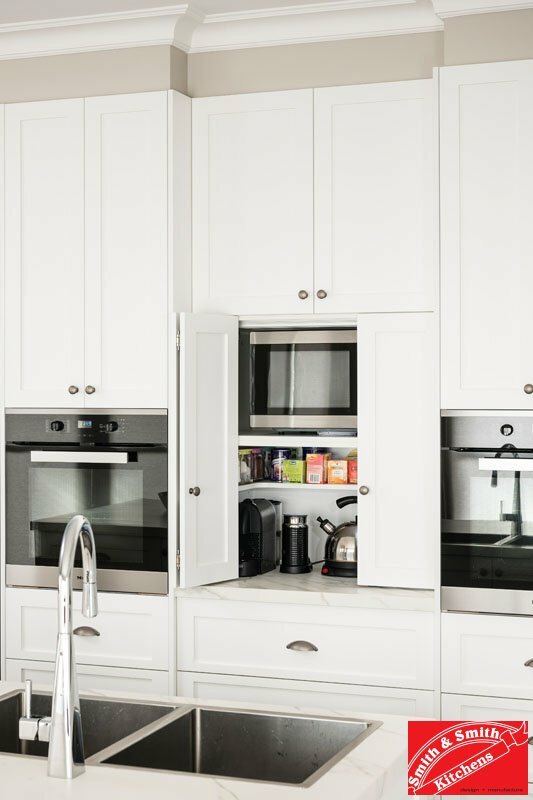 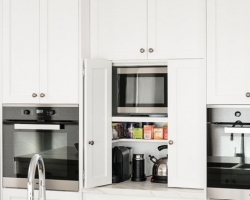 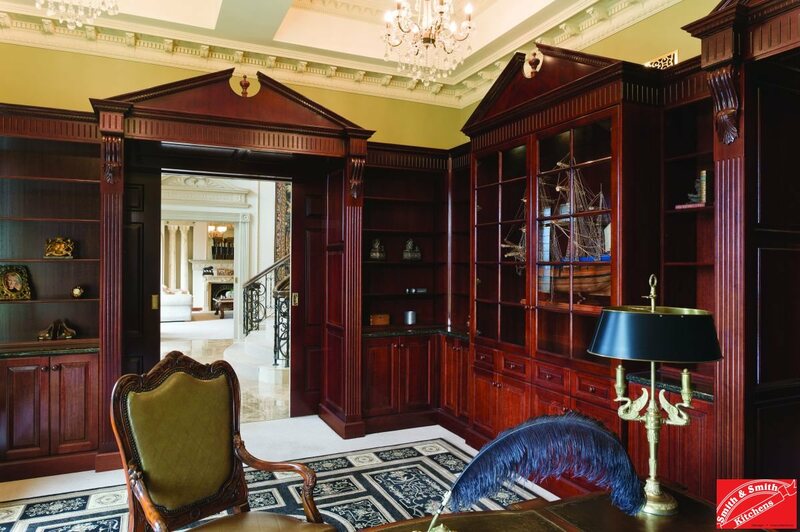 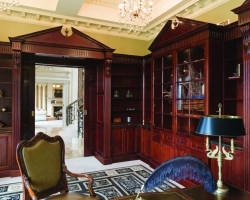 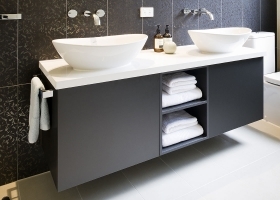 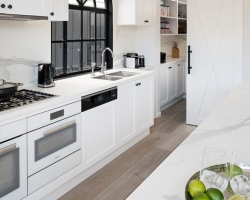 The inclusion of a butler’s pantry can reduce the need for corner cabinets, it allows for bulk storage and hides any small appliances that usually clutter benchtops.